Our Cary Breast Center is located in the Medical Park on Ashville Avenue, near the intersection of Tryon and Kildaire Farm Roads. 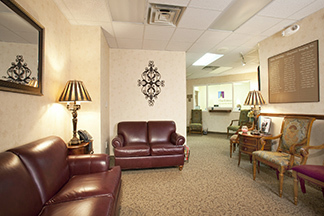 This office provides comprehensive breast imaging services and bone density (DXA) screenings for patients in and around western Wake County. Our Cary office is proud to offer 3D screening mammograms in addition to follow-up diagnostic exams that help our breast imaging radiologists detect breast cancer at its earliest possible stage. Patients do not need a physician referral to have a screening mammogram. They only need to have seen their primary care physician within the past 18 months. If a patient needs additional imaging or a biopsy, the breast imaging team at our Cary office works closely with the patient’s schedule to get them in quickly. Our Cary Breast Center, like all of our other breast imaging locations, has been designated as a Breast Imaging Center of Excellence (BICOE) by the American College of Radiology.